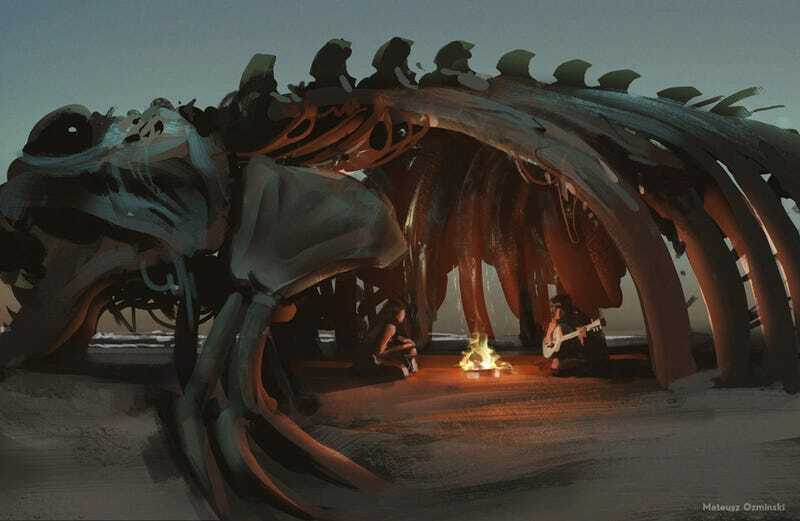 When the giant sea beasts beach themselves, everyone scavenges whatever they can—meat, teeth, skin. And the remaining carcass becomes shelter. This is “Empty Chest” by Mateusz Ozminski (artozi on deviantArt), who made this particular bit of art for as a thirty minute sketch for the Daily Spitpaint Facebook group.